It seems like all you hear is bad news when you turn on the TV these days. However, 25 years ago today there was the happy news that the Berlin Wall was coming down. I remember watching German news broadcasts and seeing the people chipping away at it. I couldn't understand all the German words but there was no mistaking the joy on the faces of the people. Finally, after so many years of heartache and death. 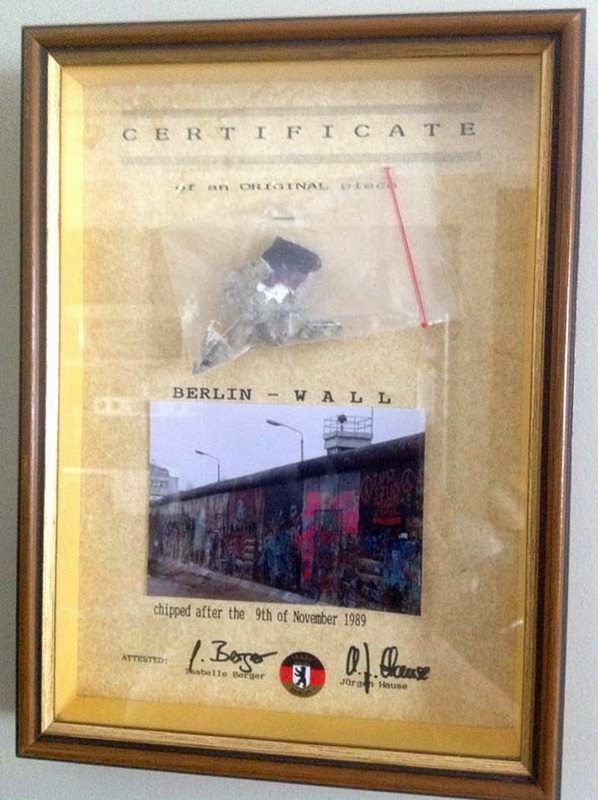 I have my own certified a piece of the wall, hanging on my wall. It's a treasured piece of history. Nice post. If anyone wants to know what the Berlin Wall truly signified ask nearly any Eastern European.